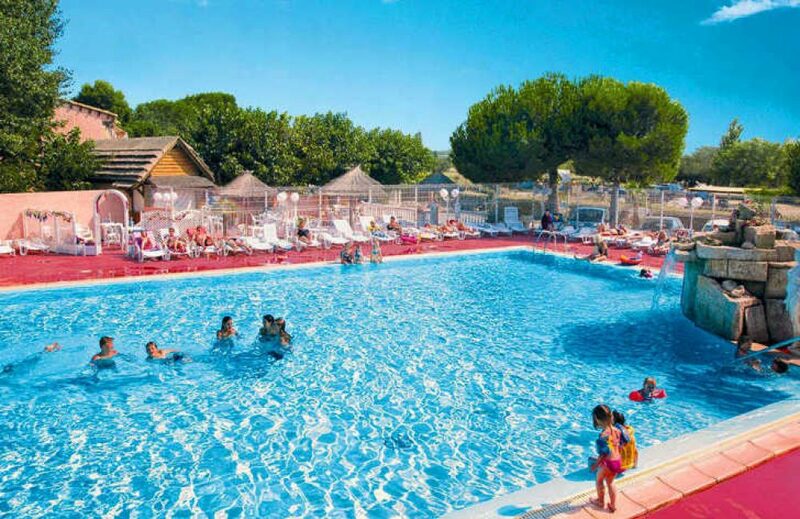 Camping La Maire is a great family friendly campsite which occupies a fantastic position just 800m from the nearest sandy beach at Serignan-Plage. The campsite is set within wooded grounds where pleasant green trees line the pitches and other amenities providing welcome shade from the summer sun. You’ll find that the campsite is mostly bordered by open grassland which is far from the noise, hustle and bustle of other campsites. These wonderfully peaceful surroundings will guarantee that you have a truly relaxing holiday in the south of France. As we’ve mentioned, the nearest beach to Camping La Maire is only 800m away which takes just under 10 minutes to reach by foot or less by bike or car. The fantastic beach stretches out for in excess of 3km and is covered in wonderful golden sand which shelves gently into the sea. Highly popular in summer months, it’s still possible to find plenty of space to relax, sunbathe and most importantly of all, have fun making it an ideal place to relax with children of all ages. 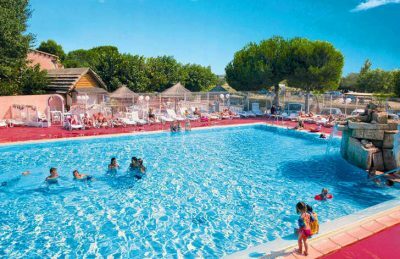 Although smaller than some of the other campsites in the area, Camping La Maire still boasts a brilliant swimming pool area which has a lovely family swimming pool, children’s pool slides and plenty of patio area suitable for sunbathing. Camping La Maire campsite is a great family friendly campsite that boasts a variety of activities to ensure you have a great holiday. On site activities at Camping La Maire campsite include multi sports area, football, basketball, volleyball, aqua gym, table tennis, boules and a playground. Facilities available at Camping La Maire campsite include WIFI, restaurant, snack bar, takeaway, pizzeria, bar, groceries, animation team, games room, washers and dryers. Accommodation at Camping La Maire campsite includes a range of 2 and 3 bedroom mobile homes that are available from Canvas Holidays .